Whats the size of bin liners? The pedal bin liners are 280mm x 425mm x 425mm. Keeping your stocks high at any given time, add our Heavy Duty Pedal Bin Liners to your basket today. Manufactured from HDPE, each durable bin liner is suitable for lightweight waste removal including nappy disposal. The 10 microns thickness provides enough stability for discarded paper or general office waste. Each bag has a opaque design which allows wayward items to be spotted before their are accidentally disposed of. For an economic option, this large pack of 1,000 bin liners can be easily stored away until required, making them the perfect replenishment stock. Improve the quality of your refuse system with items such as our Addis Plastic Pedal Bin 3ltr or our Gompels Pedal Bin Matte Stainless Steel options. 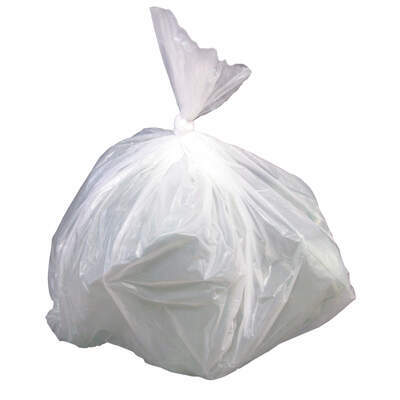 We also have a variety of other refuse bags available including various Black Sack options.